Where Did Gene Kelly Live While He Worked in Hollywood? Where Did Gene Kelly Live? Gene Kelly lived in three homes while he worked in Hollywood. After arriving in Los Angeles in 1941, Gene's first residence was in Laurel Canyon, a small house on Lookout Mountain Drive. He acquired this house through his New York agent, Johnny Darrow who, at the time, was beginning to dabble in real estate. The house was in no way a flashy structure. In fact, upon first moving into their home, Kelly and his then wife, Betsy Blair, were only in possession of a single bed and a large ping-pong table. Gene and his wife made the best of their small home and frequently hosted get-togethers with friends—a predecessor to what would later become a pastime. This home on Lookout Mountain Drive, however, lasted only six weeks as a fierce rain storm washed away the steps, "making [the couple's] continued existence there impossible” (Hirschhorn 109). Therefore, on January 1, 1942, Gene and Betsy accepted an offer to temporarily move in with Lois Moran’s mother on North Elm Drive until they found another place to live. After a few months, they did. Gene and Betsy, along with their first and only child, Kerry, lived on Alta Drive well into Gene’s Hollywood career at MGM. But when Gene enlisted in the Navy in 1944, the young family moved East. It was only until Gene was discharged in May of 1946 that they moved back to California. 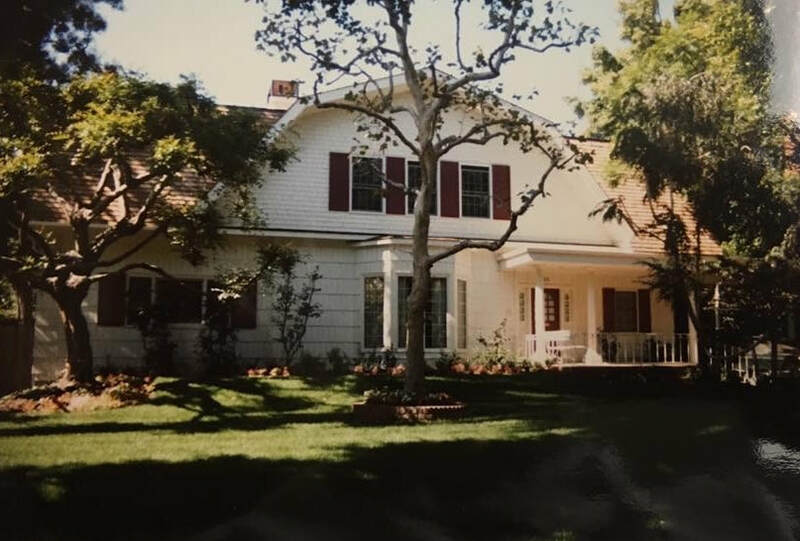 Shortly before Gene was discharged, Betsy along with Gene's erstwhile agent-turned-real-estate-agent, Johnny Darrow, found a home in North Rodeo, Beverly Hills. “It was," she said, "the last farm-house extant in Beverly Hills, and at $37,500 an absolute bargain” (151). After Betsy gave a convincing overview of the rooms, she (with Gene's consent) purchased the home (image above). Betsy and Kerry moved in, and Gene joined them after his discharge. 725 North Rodeo Drive would be the permanent residence of the Kelly family (or families) from this point until Gene's death in 1996. Photo of Kelly's North Rodeo Drive house, courtesy of David Fantle.